Sharon Murray is a native Idahoan who moved to West Virginia in 2010 to travel, study history, volunteer at Antietam National Battlefield and pursue photography. She has multiple degrees in mining engineering and history from the University of Idaho. She worked in both underground and surface precious metal mines and in state government managing the State of Idaho’s mineral leasing and mined land reclamation programs. She has published a number of articles on Idaho mining history and won awards for photographs from the International California Mining Journal and the Civil War Trust. Sharon volunteers at the Antietam National Battlefield at the Visitors Center, as a Battlefield Ambassador and a member of “Battery B, 4th US Artillery” living history group. 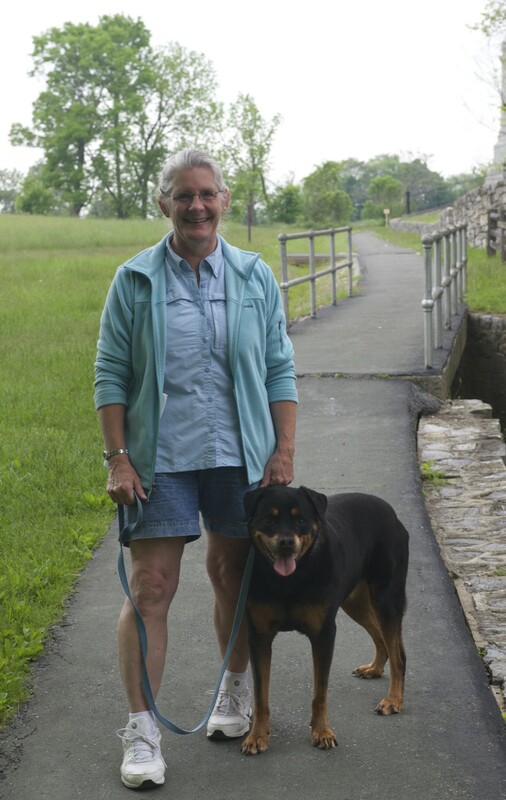 She is also an Antietam Battlefield Guide. On Wednesday, August 3rd, Sharon’s will present her Summer Lecture Series talk with “Battery B, 4th US Artillery”. Sharon’s talk will cover a short history of Battery B, of the 4th US Artillery prior to the Battle of Antietam and discuss the battery’s role in supporting the Iron Brigade in the morning fighting in the cornfield.